From Corsham Primary School (Wiltshire): What creatures live in the water in the Antarctic? There are all sorts of amazing creatures living in the water in Antarctica – everything from enormous whales to microscopic plankton, and from krill swimming up at the ocean surface down to creatures living thousands of metres deep. We’ve been studying the animals living on the seafloor between 500m and 2000m deep, and we’ve found animals from over 150 different families, including many different species of corals, sponges, fish, urchins, starfish, tiny crustaceans called amphipods, sea squirts, molluscs, sea cucumbers, and even sea spiders! 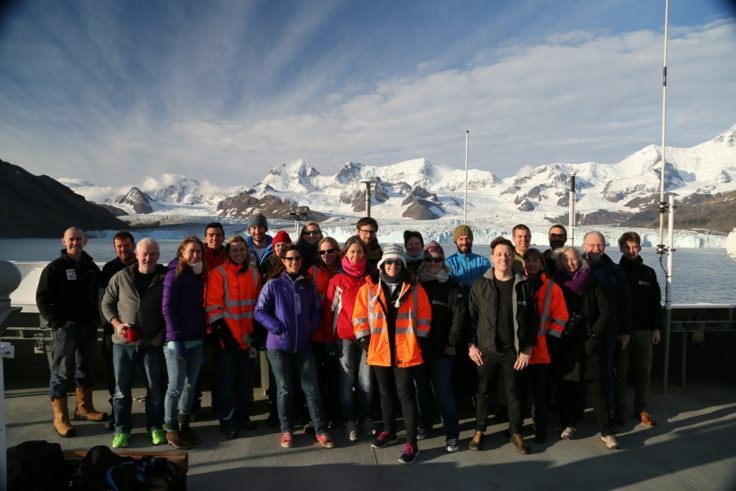 From Oscar: Are there sharks in Antarctica? No, there aren’t any sharks in Antarctica, but there are several species of ray which are closely related to sharks – both rays and sharks are elasmobranch fish, which means they have bendy skeletons made of cartilage. 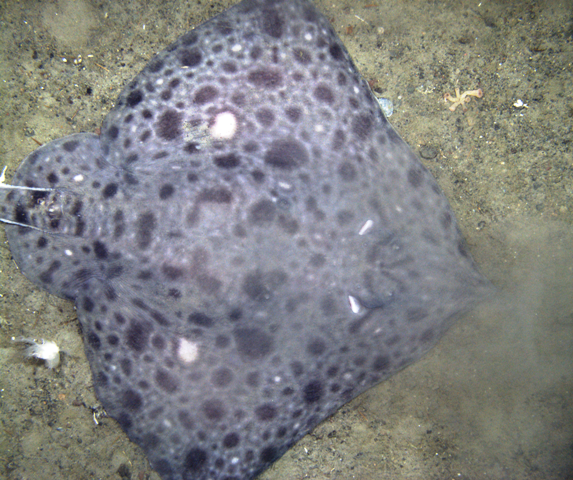 We found this beautiful spotted ray with our underwater camera. From Chris: What’s an octocoral? Answer from Michelle Taylor (Deep sea coral scientist, University of Oxford): Octocorals are corals that have eight tentacles. Octocorals tend to have quite flexible skeletons, unlike their hard coral cousins. Octocorals occur in both temperate and tropical shallow waters as well as thousands of metres down into the deep-sea. As most species need hard substrate, so they can grow upright and waft in the water column hoping for food particles to hit them, they are often found on rocky areas such as seamounts, continental slopes and, in Antarctica, on the drop stones that fall from the bottom of melting ice bergs and settle on the sea floor. We’ve seen many of the drop stones and their coral cling-on friends in our photo surveys…and even caught a few (I’ve also identified 4 new species of octocorals on this expedition, exciting!). Dropstone with whip octocorals attached. From Caleb: How big is a polychaete worm? Maddie Brasier with Laetmonice – the largest polychaete found on this cruise. From Corsham Primary School: Do whales have to make a circle in the ice and come up for air? What do whales like to eat, and does saltwater hurt the whales’ eyes? All whales have to come up for air, but usually they stick to parts of the ocean where there is enough open water for them to find places to breathe without having to break through any ice. We’ve seen lots of fin whales and humpback whales on this trip, and they often like to be close to the edge of ice, but not underneath it. Another kind of Antarctic animal – the Weddell seal, has special teeth that help it scrape the ice to keep breathing holes open. And in the Arctic, beluga whales sometimes keep breathing holes open by breaking through ice too. Most of the whales in Antarctica eat krill, which is a small shrimp-like animal. There’s a huge amount of krill in the Southern Ocean, and whales migrate down here in the summer to eat as much as they can. Saltwater doesn’t hurt whales’ eyes – they can see very well underwater and they keep their eyes open all the time. From Anton Van De Putte: How many fish have you found so far? What’s the coolest fish you’ve found? We’ve found about 30 different kinds of fish and rays, and the coolest ones (literally!) are the icefish – they have special antifreeze proteins in their blood (which is white, not red like ours), that stops their blood from freezing and means they can survive in very low temperatures in the icy Southern Ocean. From Kirsten: What size haul do you bring up, and how is it collected? The equipment we use is specially designed to catch only a small sample of animals, and to avoid damage to the seafloor. Wherever we can, we use underwater camera and video systems to capture images of the animals without disturbing them. When we do need to take samples, we use an “Agassiz trawl” which catches animals living on the seabed in a net, and a smaller “Rauschert dredge” which lets us find the very tiny animals. We also use an “epi-benthic sled”, which slides along the seabed on runners and collects small animals living on or just above the seafloor. From Applecroft School (Hertfordshire), Renuka Badhe, and Kilkeel Primary School (Northern Ireland): Have you found any new animals? If so, how many, and what are they? Have the scientists found any undiscovered creatures and how do they identify the creatures? Helena: Onboard the ship we mainly do a quite rough sorting of the animals as we get a lot of worms in most samples. Often we don’t have much time to study each species well enough to identify them properly, that work will have to wait until we’re back in our labs and have light microscopes and DNA samples to help. However, I was lucky enough to find a species from the worm group I have specialised in (they are called Ophryotrocha), and I could tell right away that this is a new species that needs a description and a name. Michelle: As we’ve had a few days when collections haven’t been possible as the winds have been too high I’ve managed to steal some time to identify some of the hundreds of octocorals we have sampled. By dissolving the polyps in a little bit of bleach I can see all the hard scales that make up their bodies and look at the different shapes, their textures and sizes. This combined with the colony shape (whip, fan, bushy etc) can often help me work out which species I’m looking at. I’ve been working on Antarctic octocorals for many years so know what (or can find the right literature to look at detailed pictures) all the known species look like. Excitingly this has lead to the identification of four species that are new to science. 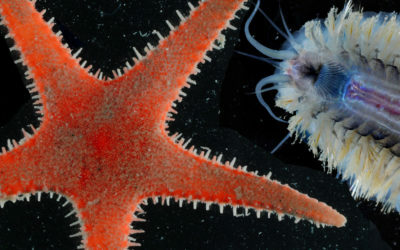 Two are particularly rare, with only one known species in each of the families so far described from the Southern Ocean. This is an example of Primnoella chilensis, a common sub-Antarctic whip octocoral. I’ve tinged it blue with a marker so I can see the scale more clearly under a microscope. The polyps are about 2.5mm tall. 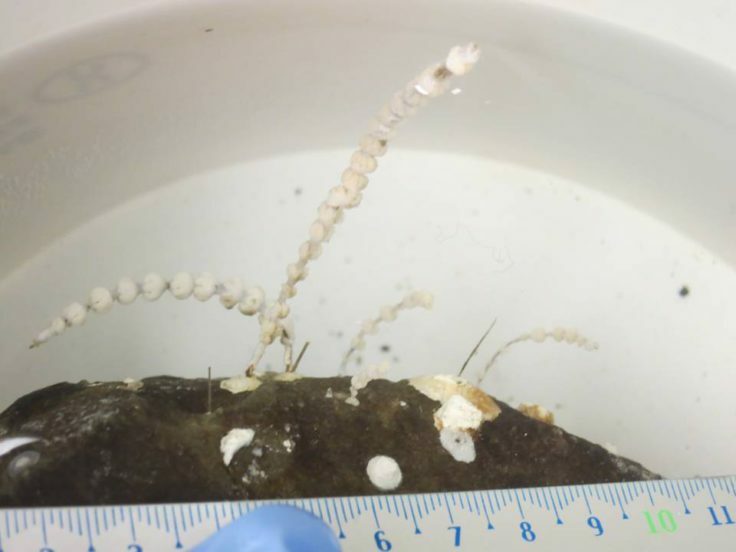 From David Southey: Have you seen the same plastic ingestion in deep sea beasts as in fish and seabirds elsewhere? From Michelle: It’s been known that microplastics are in deep-sea sediments for a few years now (it’s worrying to think that thousands of metres down and over a thousand miles from land that we find plastics in sediments…) They are even found in the same quantities as in some coastlines (location dependent of course), so the deep-sea is far from buffered against this omnipresent impact. 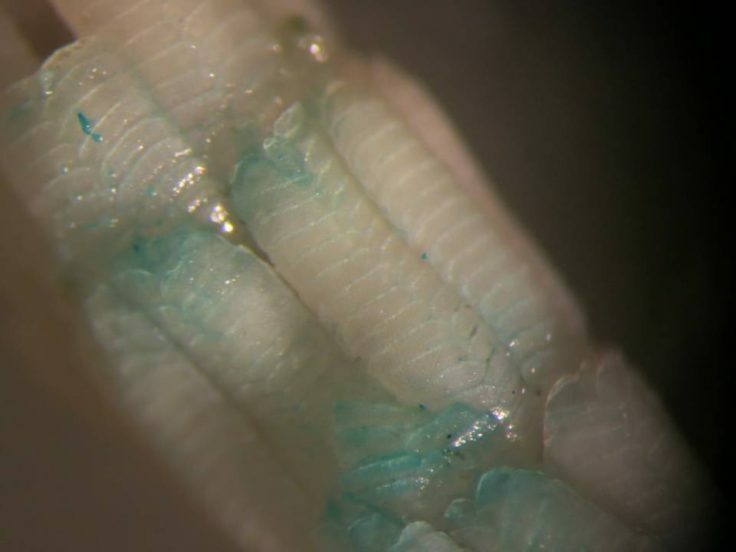 Some colleagues and I have just finished a paper where we describe finding microplastics inside some deep-sea animals so I’m afraid that the answer to your astute question is, “yes”. From Applecroft School and Corsham Primary School: What’s the coldest temperature you have recorded so far? How cold is it underwater in Antarctica? 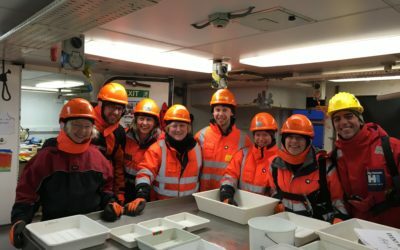 Answer from Susie Grant (Marine biogeographer, BAS): The air temperature and the sea temperature are both around zero at the moment, but it can feel much colder if there’s a strong wind blowing. The temperature at the bottom of the Southern Ocean varies too, but it’s often similar to the surface temperature. 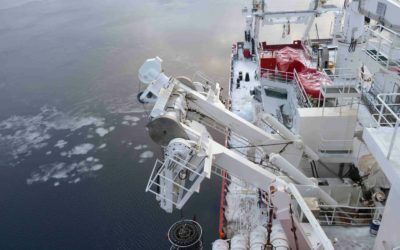 We sent our CTD (an instrument that measures the Conductivity, Temperature and Depth of the water) down to 2000m, and it recorded a temperature of -0.2 degrees C near the seafloor, and +0.2 degrees C at the surface. 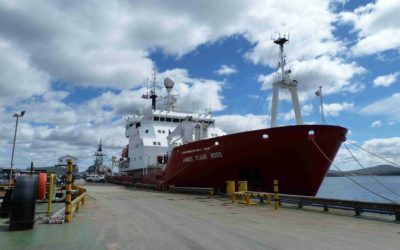 Still, it’s warmer out here at sea than it is on the Antarctic continent – the temperature at Halley Station is -12 degrees C today. From Corsham Primary School: How does the ice break off into icebergs? Do icebergs crash into each other? 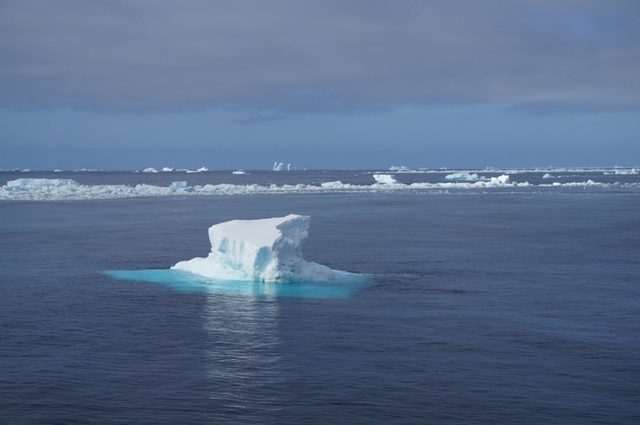 Susie: Large icebergs come from glaciers or ice shelves on the Antarctic continent – they are constantly moving slowly towards the sea, and eventually large cracks open up and huge sections of ice break off and float away as icebergs. 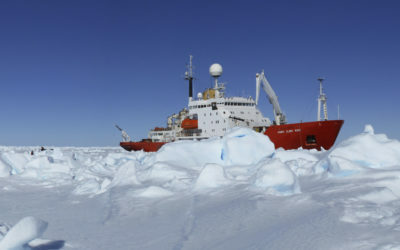 Smaller icebergs (sometimes called ‘growlers’ or ‘bergy bits’) can also come from sea ice, which is when the surface of the ocean gets frozen solid in the winter, and then starts to break up again in the spring. Icebergs do sometimes crash into each other, or they might end up being rolled over by the waves, which is how they sometimes get their amazing shapes. Icebergs can become ‘grounded’ too – this means that the bottom of the iceberg touches the seafloor, and it gets stuck there (sometimes for years!) until it melts enough to float away again. From Robin & Toby: Which of the Octonauts’ GUPs would you most like to have use of on your cruise, and why? Susie: I’d really like to have the deep-sea GUP-X, which would let us drive along the seafloor and up the side of seamounts! We’d have to be careful that the caterpillar tracks didn’t squash any of the fragile creatures living there, but it would be great to get close enough to see them out of the window and take some photos. I’d love to try out the Octonauts’ special deep-sea diving suits too. From Charlie-Rose: What would happen to Captain Barnacles and Kwazii if they went 2km under the sea? And from Kilkeel Primary School: Why do creatures on the seabed not implode? If an Octonaut (or a person) tried to go 2km under the sea without anything to protect them from the pressure, then all the air would be squashed out of them just like our polystyrene cups – it wouldn’t be a very good idea! People can wear special pressurised diving suits to get down to a few hundred metres (though I think the Octonauts’ deep-sea suits can go much deeper!) But to get all the way down to 2000m you would have to go in a submarine. Even our equipment, like the underwater camera we use, has to be protected by an extra-strong metal casing. The animals living deep down on the seabed don’t have any problems, as their bodies are specially adapted to be able to cope with extreme pressure. They don’t have any air in their bodies (in lungs or swim bladders) and the water pressure inside their soft parts stays the same as the water pressure outside. Polystyrene cups before & after we sent them 2000m deep, attached to one of our sampling instruments. From Applecroft School: Where do you sleep? Are you enjoying the food? 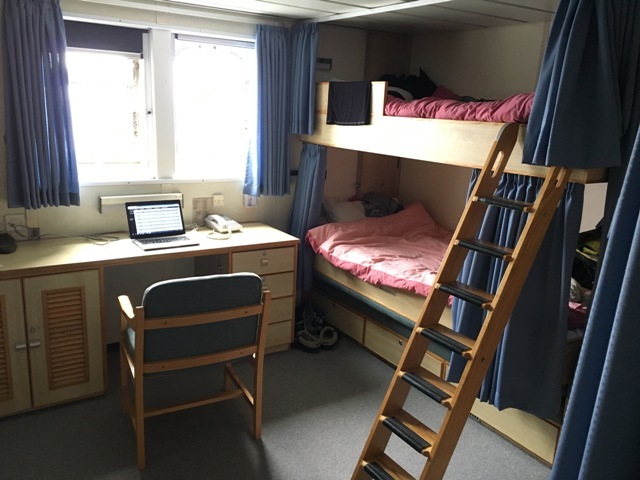 We sleep in bunk beds in very cosy cabins – sometimes with two or three of us sharing the same cabin. We have lots of drawers and cupboards to put everything safely away, so that it doesn’t roll around the room and get broken when the ship is moving a lot in big waves. 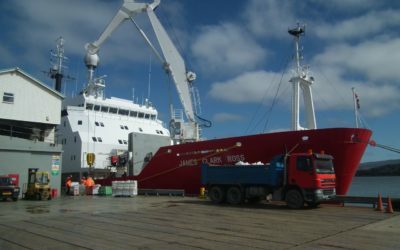 There are 2 chefs on the James Clark Ross, and they cook great meals for us every day. We all get quite hungry when we’re working hard, especially when it’s cold outside. There’s always lots of delicious cake and biscuits, which we might be enjoying a bit too much! At the beginning of the trip we had fresh fruit and vegetables, but they don’t last for more than a few weeks. There’s plenty of tinned fruit and frozen veg, but we’re looking forward to being able to eat fresh tomatoes and bananas again soon! From Oscar: How do scientists go to the toilet in a submarine? Answer from Laura Robinson (Paleoceanographer, University of Bristol) It depends on the submarine. I have dived in the research submarine ‘Alvin.’ The night before the dive you prepare your kit bag with everything you think you will need. It can be warm in the surface waters but as you dive deeper the water gets cold, so you need some warm clothes in your bag. The dives normally start at eight in the morning, after breakfast. The dives last for around eight hours, so it is quite likely that you will need to pee during the dive. There is not much space in the submarine, just enough for the pilot at the front and two scientists – so there is no loo. Instead if you need to go you have to ask the other people to look away while you pee in a bottle. When you get back to the surface it is your responsibility to clean the bottle! From Renuka: What was the most unexpected thing you have found/seen? 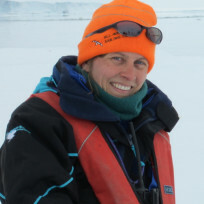 Answer from Louise Allcock (National University of Ireland, Galway): To the south of the South Orkney Islands we found a barnacle ‘graveyard’ where the seafloor was covered with the chalky plates that encase barnacles. On rocky shores at home, barnacles are tiny (look on the rocks at the top of the shore and you will see them) but in the deep sea some species are huge. So the chalky shells in the graveyard were up to 7 or 8 cm long. Interestingly, we didn’t find any big barnacles, although we did see some rocks on the drop down camera that had scars where old barnacles had fallen off. It was strange to see the remnants of so many dead ones when we didn’t see any live ones. But many of the dead ones were clearly very old shell so they’ve probably be building up there for a very long time. Susie: Another unexpected sight was the cattle egret (a white bird like a small heron) that landed on the deck of the ship one day – it was very tired and it must have been blown a long way by the wind – all the way out into the middle of the ocean from Africa or South America! From Applecroft School: What has been your favourite part of the adventure so far? Are you having fun? Susie: Yes, lots of fun! My favourite thing has been seeing the amazing variety of wildlife here – especially whales, albatross, and all the fantastic deep sea animals. 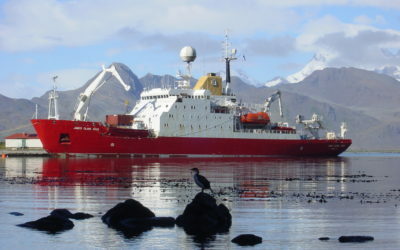 I’ve also really enjoyed meeting lots of new friends and learning from all the other scientists on the ship. Mel: Thanks for your question Applecroft School, I’m absolutely loving being here! So many ‘favourite parts’ so I’ll just list a few: watching how excited all the scientists are as they pick through the nets for weird and wonderful sea critters from the bottom of the ocean (for me it was the time we brought up the biggest ‘sea pig’ sea cucumber I’d ever seen), seeing live footage of animals in their habitats from thousands of metres down – especially when we can see animals living on other things (e.g. sea cucumbers and little bivalve shells making their homes on pencil urchins), looking up to see huge icebergs floating past while we work, seeing (in the distance) Shackleton’s grave and monument on South Georgia and the beautiful glaciers there, and of course I love giggling as we all try not to roll out of bed or lose our soup in our laps at lunch time when the ship starts rolling.